Be a part of the Racing Excitement with TJ Fischer! Be a part of the rising success of TJ Fischer in the brutal world of racing! My nephew has worked incredibly hard to rise through the ranks in a profession where the best may not ever be seen due to lack of funding. At first I did not understand all the levels of racing, and I have been impressed with how difficult it is to compete at the higher levels, let alone win. I am very proud of how my brother Steve, and his wife Viki, have instilled great values and grit to complement the split second decision-making and athleticism TJ was born with; he is a great young man to support. The only US driver racing at the Formula 2.0 level in Europe for the prestigious Salvador Duran team creates a crowdfunding campaign that puts fan experience at its heart. 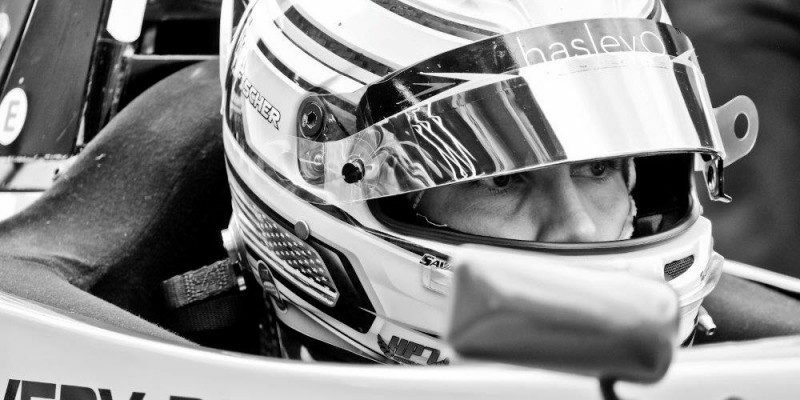 February, 2015, San Francisco, CA – California’s rising star racing driver, TJ Fischer, is set to compete this season in the European racing series known as the Formula Renault 2.0 ALPS championship. He’s looking to his fans to help drive his success — and make them part of his journey — with his Indiegogo campaign, which launched this week. Following an impressive campaign with Cliff Dempsey Racing in the BARC Protyre Formula Renault Series in the UK last year, TJ’s move to a new team — the prestigious Salvador Duran Racing — and to the Formula Renault 2.0 ALPS championship represents a huge step in his career. With this progression and temporary relocation to Italy comes a significant financial challenge TJ needs to overcome in order to hone his skills and represent the United States on the world stage. TJ’s Indiegogo campaign has a goal of $40,000. With this funding in place, TJ will be able to increase his number of 2015 testing days and cover the associated costs of track rentals, driver coaches, engineers, mechanics, transportation, tires and fuel. TJ will be racing on some of Europe’s most iconic circuits for the very first time and test days are crucial to his driver development and chances of success. Having built a loyal following on social media, TJ wanted to be able to thank his fans for their support in his European campaign by creating perk rewards that bring fans closer to the action and into his world. Perk rewards include a Formula 3 racing experience and karting test days at Simraceway (Sonoma), karting test days with TJ as instructor (run by Cambrian Go-Karts), fully-hosted race days in Europe, professional Replay cameras, exclusive TJ Fischer Racing iPhone 5 and 6 cases, a Bell GP.2 racing helmet, ONNIT nutritional supplement gift cards and other official TJ Fischer racing apparel. The 2015 Formula Renault 2.0 ALPS championship is made up of seven races, at some of the most celebrated and historic tracks in Europe, many of which are home to major Formula One Grand Prix races. The 2015 Formula Renault 2.0 ALPS season kicks off in Imola, Italy on April 12, 2015. Fans can also keep up with TJ Fischer on his unique European adventure through regular posts on Facebook (https://www.facebook.com/tjfischerracing12), Twitter (@travisjfischer) and Instagram (@travisjfischer). In 2014, TJ joined the highly regarded Cliff Dempsey Racing Team to race in the BARC Protyre Formula Renault Series in the UK. 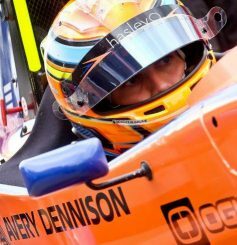 TJ garnered six top-5 finishes, while finishing 6th in the overall season Championship, an excellent result for a US driver new to European formula car racing. 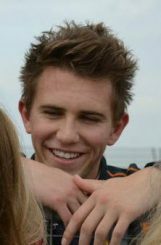 In 2013, TJ won the Formula Car Challenge National Championship, the SCCA Majors Western Conference Championship, and the Formula Car Challenge Western Conference Championship with EFM racing and Eric Purcell. TJ Fischer found his passion for racing in 2005, at the early age of eight, when he began racing karts throughout northern California. He eventually competed and won at the highest levels of karting at racetracks all over the United States. TJ moved to open-wheel Formula Mazda race cars in 2012, joining EFM Racing. A graduate of Vacaville High School in Vacaville, CA, he is currently a student at Grand Canyon University. As well as racing, he has played collegiate-level football with Pacific Lutheran University. For more information, please visit TJ’s website at www.tjfischerracing.com.